The St Patrick's Day Parade Committee, Birmingham, oversaw one of the biggest St Patrick's Day events in Europe on Sunday 17th March. The Parade started at 12noon with floats, music and dancing through the High Street, Digbeth. The Day began earlier though, with Mass in St Anne's Church, Digbeth, at 10am. The Celebrant this year was Monsignor Daniel McHugh, born in Birmingham of Irish parents. St Anne's is an historic place, being where Bl John Henry Newman began the mission in the 1840s. Today it continues to be at the heart of life in multi-faith, multi-cultural Birmingham. 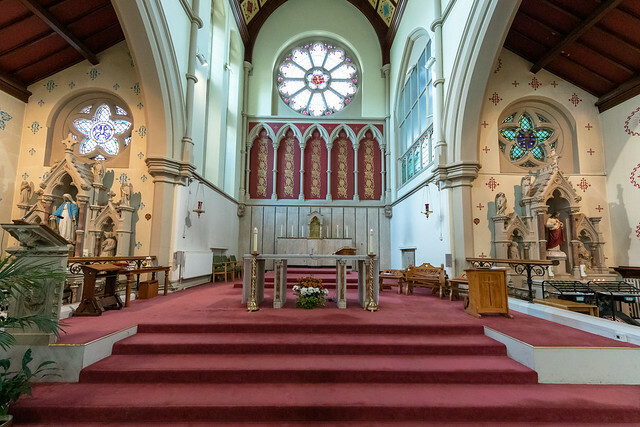 Interestingly, in the light of the sad events in New Zealand, St Anne's is home to many outreach projects including the Birinus Communitas Wellbeing Project, where Catholic and Muslim work in partnership for their respective elderly people with the City of Birmingham in support.